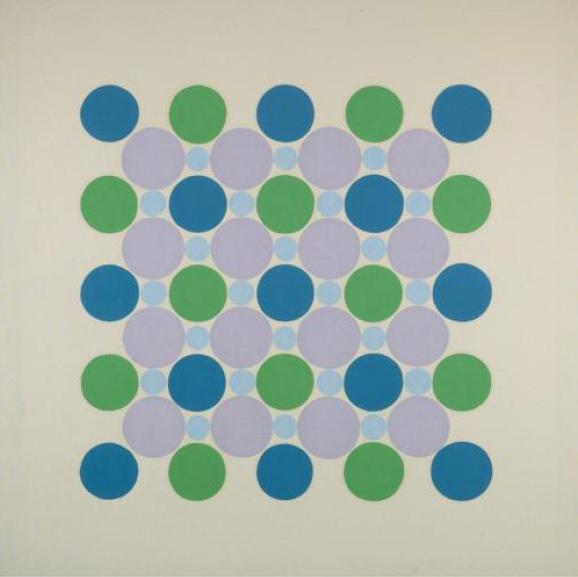 Thomas Downing - Untitled (1963) - acrylic on canvas - 60in sq. Sometimes pattern making and the effect of a pattern goes beyond the simply decorative. 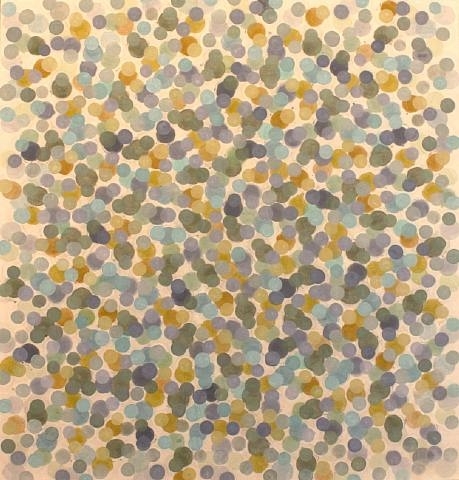 Sometimes patterns can move us emotionally as much as any example of fine art. I have noticed this with some Islamic patterns and Amish quilts. I think this is what I felt when I first saw one of Thomas Downing’s paintings reproduced in a magazine a long time ago. And I never forgot it. On many occasions I had to search long and hard to find it again amid a pile of magazines. 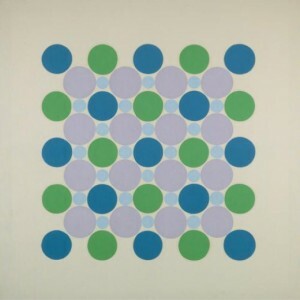 Thomas Downing - "Four Blue Five" (1962) - acrylic on canvas - 66in sq. 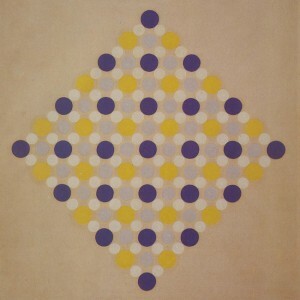 Recently I saw one of his paintings come up for auction which prompted me to look into his work a bit further. 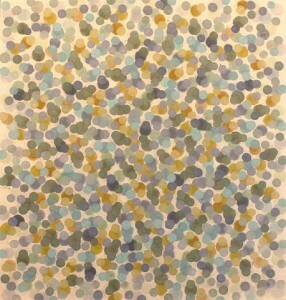 Downing is an American artist who settled in Washington D.C. and is associated with the Washington Color Field School. 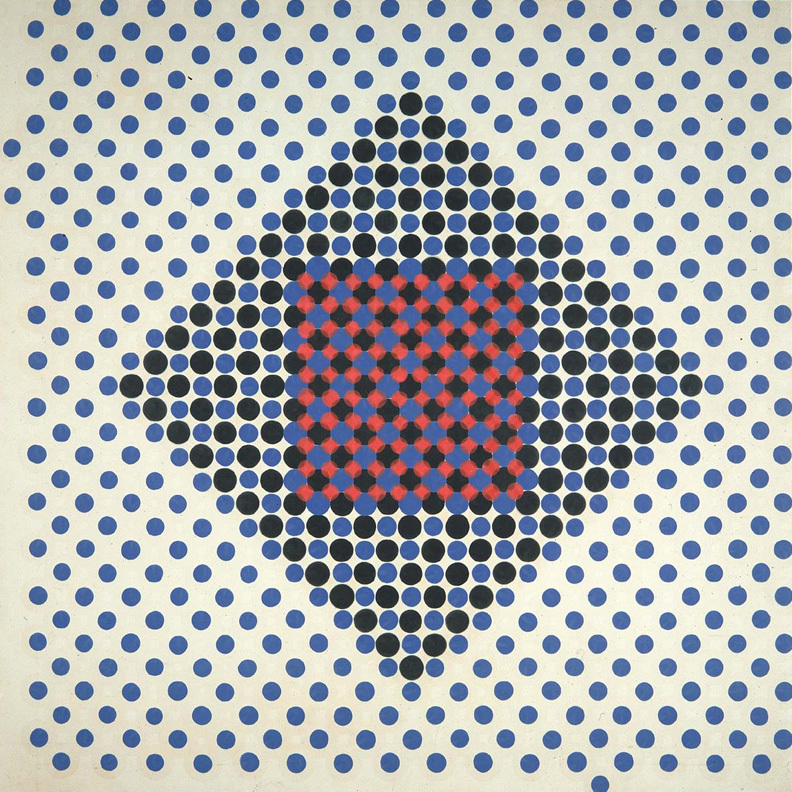 He studied under and became a friend of Kenneth Noland. 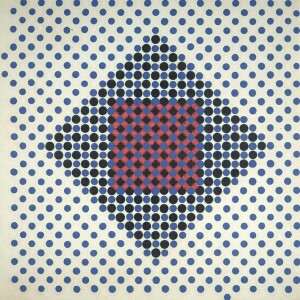 Using the circle as a basic unit, Downing arranges various sizes and colors into patterns that sometimes form squares and fit comfortably within the edge of the canvas. 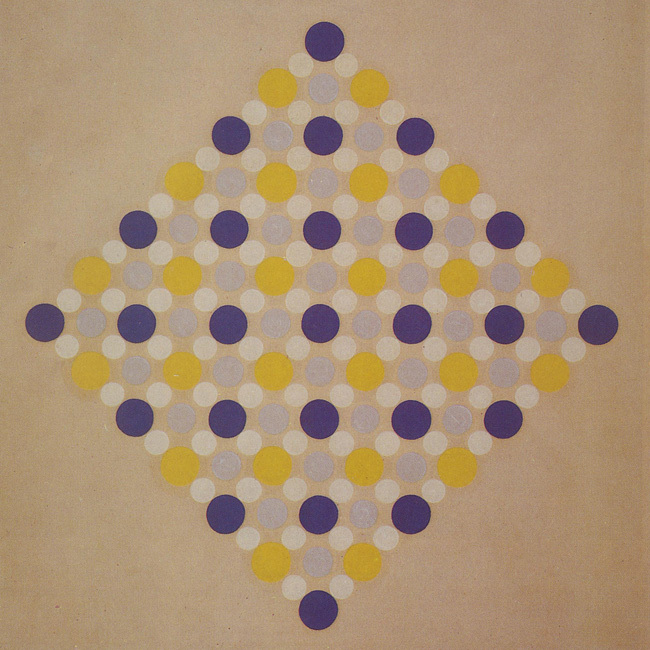 The circle unit may have come from Downing exploring abstraction with a reference to nature. See “Summer” at left. 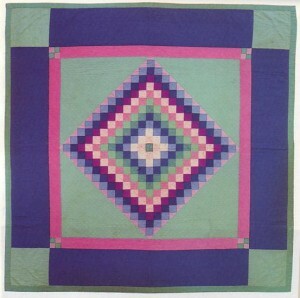 The pattern making looks like it might have been inspired by Amish quilts. See “Untitled (1961-1962)” below and the Amish quilt example.